You probably think cranberries grow in water like the ad for Ocean Spray depicts on TV. Actually flooding the cranberry bogs with water is one way that they are harvested. They can also be dry harvested. 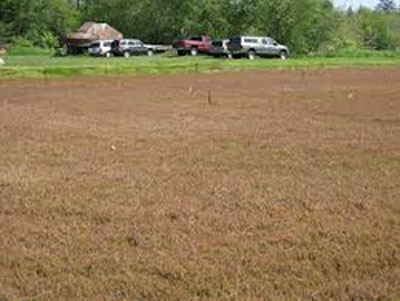 Most of the cranberries grown in the Long Beach Peninsula area of Washington are sold to Ocean Spray. 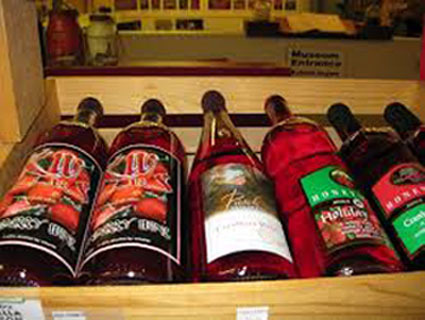 Other commercial cranberry producing states include Oregon, Massachusetts, New Jersey and Wisconsin. Because the soil and climate of Long Beach closely resembled that of Cape Cod, Massachusetts, where commercial cranberry production was already established, Anthony Chabot cultivated cranberries in Long Beach in 1883. If you’d like to learn about the history of cranberries, Long Beach boasts a Cranberry Museum and Gift Shop. 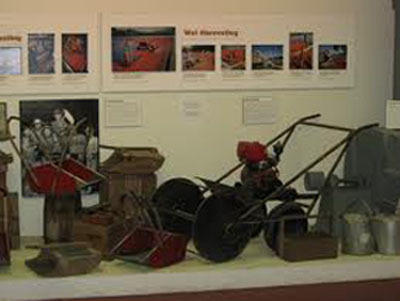 See what role the cranberry industry plays in the economy and look at historical artifacts and equipment built and used especially for cranberry farming. Celebrating the cranberry is a regular event in Long Beach, with the Cranberrian Fair Harvest Festival. This year it takes place October 8 and 9, 2011. Foods, crafters, bog tours, and more will showcase the area’s rich heritage during the 91st Annual Cranberrian Fair. Collectible Cranberrian Fair buttons will sell for $5 each and cover admission to all events. Place cranberries, sugar and water in a saucepan and bring to a boil. Boil slowly until berries “pop” and sauce begins to thicken. Remove from heat and reserve. Place the 2 Tablespoons gelatin in a small pan with the cranberry juice and stir it in. Set it aside to soften, about 5 minutes. Heat slowly to dissolve the gelatin and allow this mixture to cool. Beat the cream cheese and “Crème de la Chevre” with the sugar. Combine the cranberry sauce and frozen raspberries. The heat of the sauce will help thaw the raspberries. Add one half of the berry mixture to the cream cheese/sugar mixture. With the mixer running slowly, add the softened, dissolved gelatin mixture. Then gently fold in the rest of the berry mixture. Whip the cream and vanilla until stiff peaks form. Fold it into the mousse and the spoon it into glass serving dishes. Chill if not serving right away. Top with whipped cream made with heavy cream whipped with powdered sugar and vanilla. Optional: you may add a little cinnamon to the whipped cream. Yield: 12 large servings or 20 small. This entry was posted in Beaches, Family Fun, Museums, Tours and tagged Cranberrian Fair, cranberries, Cranberry Museum and Gift Shop, Cranberry Raspberry Mouse, farming, Long Beach, Long Beach Peninsula, Ocean Spray, Shelburne Inn on June 5, 2011 by admin.